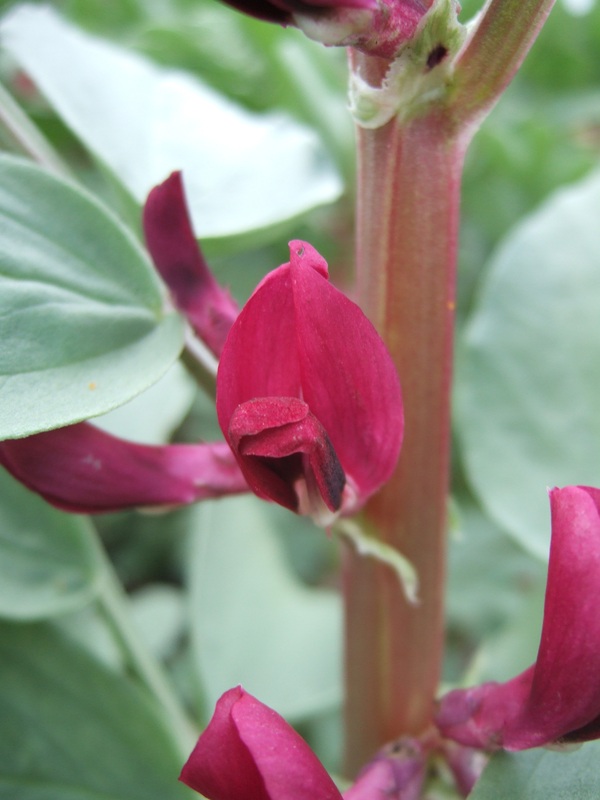 Broad beans are easy to grow and provide an early summer harvest in the edible garden. We are growing a crimson flowered variety that looks great in an ornamental kitchen garden or in containers. The end of February or beginning of March is a good time to sow broad beans. They can be sown directly into the ground, but will need the protection of a cloche early in the season. 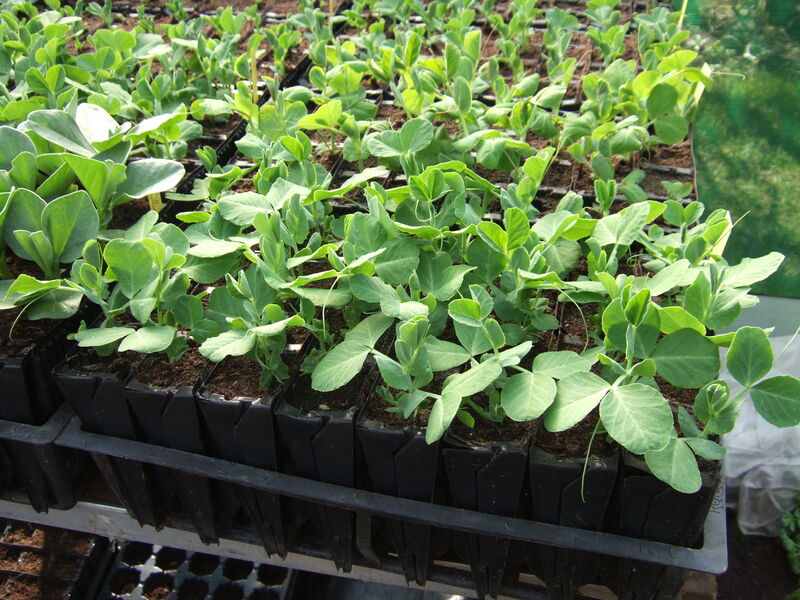 Alternatively they can be sown into deep pots in a polytunnel, greenhouse or cold frame and planted into the garden in April or early May. Sow the seeds 5 cm deep and 23 cm apart. 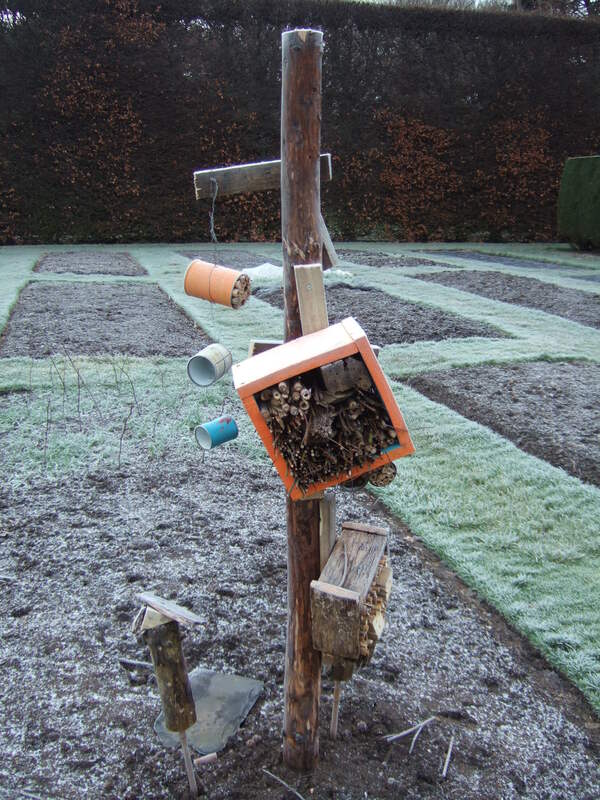 Mice and birds like the seeds and young shoots so try to discourage them with nets. 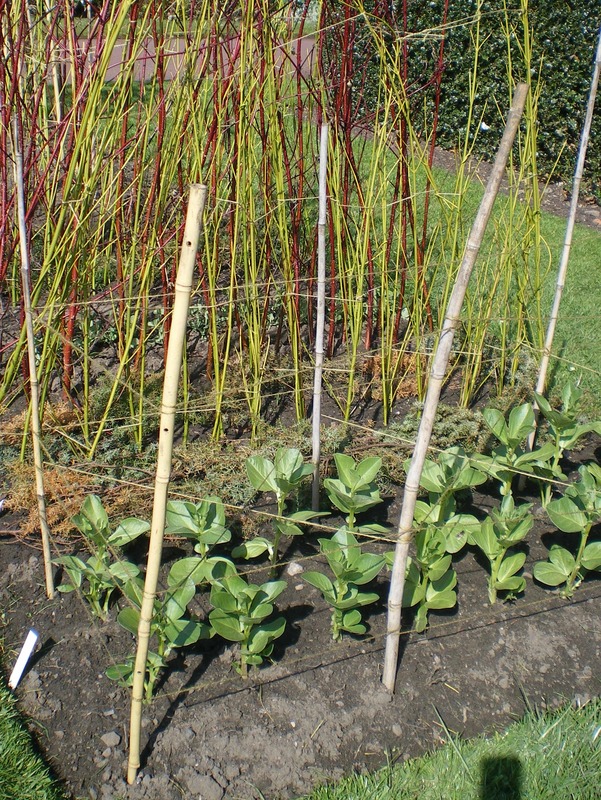 Broad bean plants have a tendency to flop over so it is a good idea to support them with canes and string (see photo). Nip out the tips of the plants once the pods start to form. This helps to prevent blackfly, a sap sucking aphid. The tips of the plant can be eaten like pea shoots. Companion planting with the aromatic herb summer savory (Satureja hortensis) is said to discourage blackfly. The flavours go well together as well! Last year we had a problem with ‘chocolate spot’ a fungal disease that causes dark splotches on the leaves. It is encouraged by damp, humid conditions. The way to avoid it is to increase the space between plants to allow better airflow and avoid high nitrogen fertilisers (they encourage soft, infection prone growth). Broad beans are ready to harvest in June and July. Pick the pods whilst they are still small to prevent them becoming tough. In the kitchen broad beans are very versatile and can be used in risotto, pasta sauce, stews and salads or mashed up to make a delicious hummus-like dip. Cold temperatures and low light levels in winter do not mean an end to fresh produce from the garden. 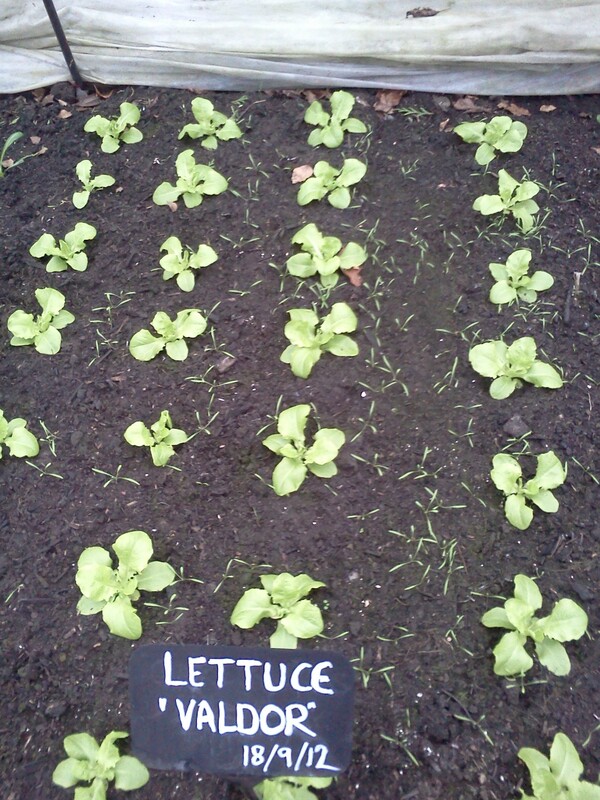 Here at The Royal Botanic Gardens Edinburgh we have been harvesting a range of vegetables over the darkest months. Here is a list of our favourites. 1. 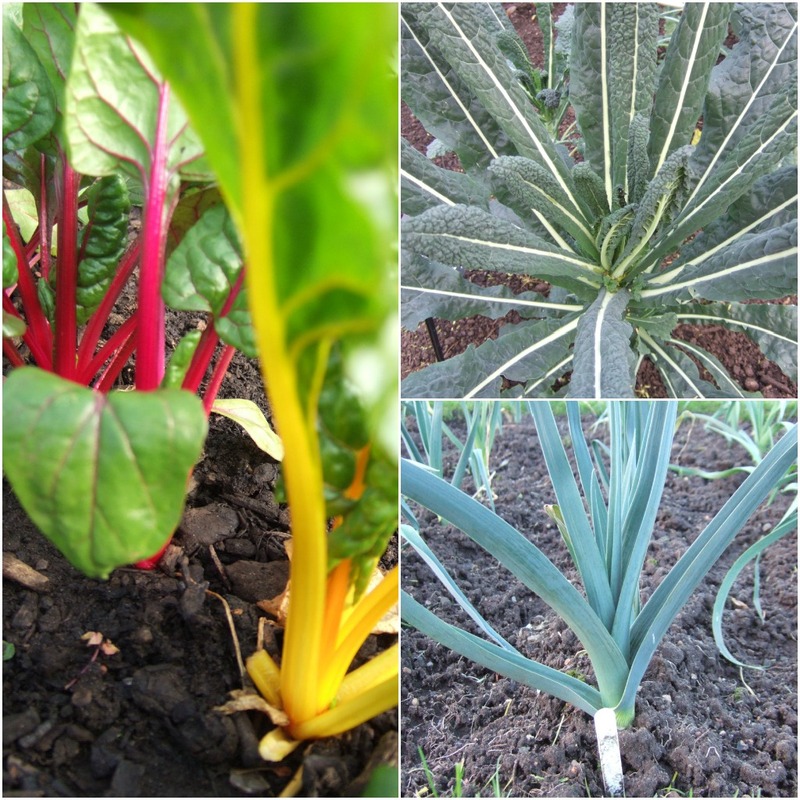 Chard: Multi-coloured leaf stalks and spinach-like leaves make this an indispensable winter crop in the Edible Garden. Sow July – August, Harvest December – May. 2. 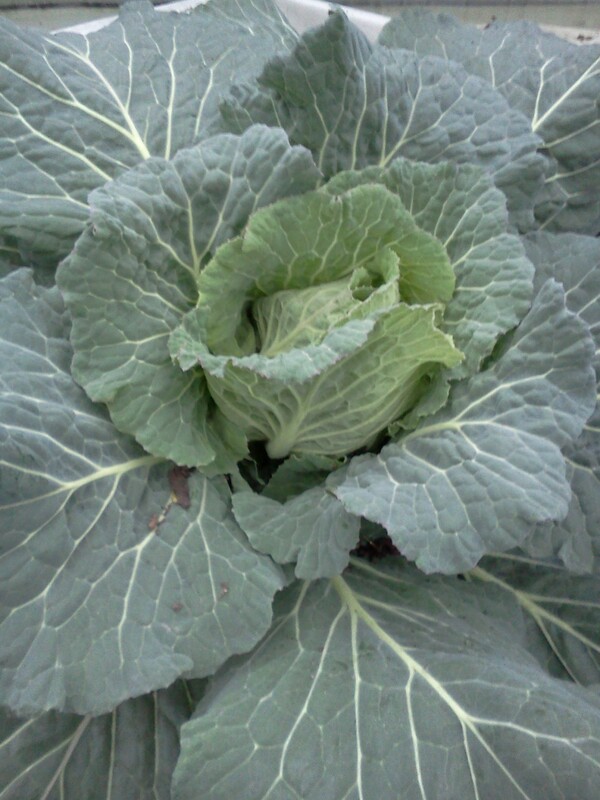 Kale: Very hardy, provides a continuous supply of nutritious leaves. There are several attractive varieties such a ‘Nero di Toscana’ and ‘Red Winter’. Sow May – July, Harvest December – April. 3. Leeks: A winter classic, essential for broths, soups and stews. Sow April, Harvest January – April. 4. 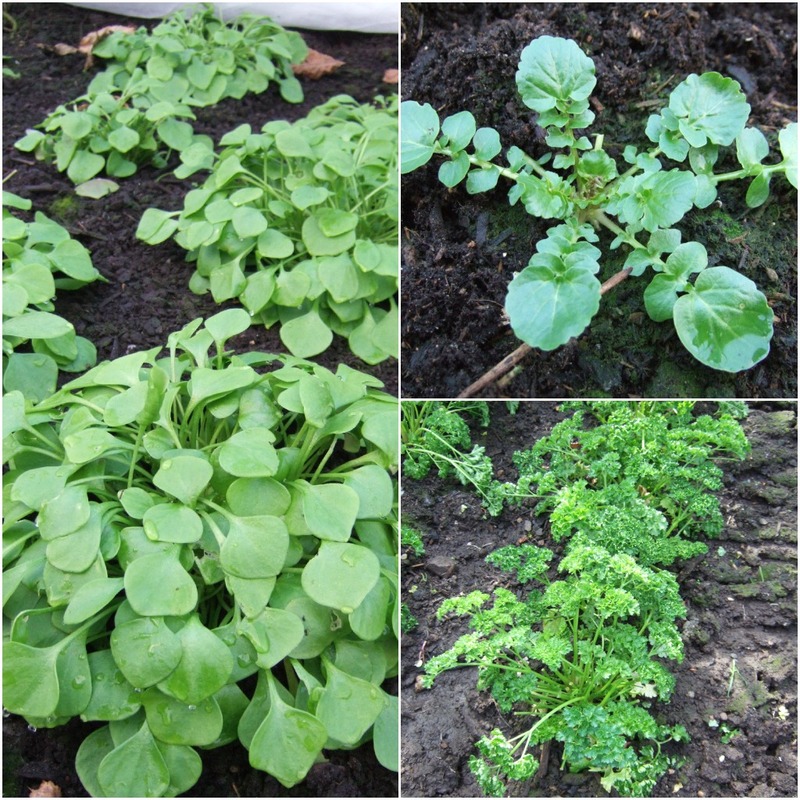 Winter/Land cress: A spicy salad crop. Sow August. Harvest January – April. 5. Winter purslane (Claytonia): Mild, buttery textured leaves that combine well with land cress in a winter salads. Sow August. Harvest January – April. 6. Parsley: Flat-leaved and curly parsley provide vitamin C rich leaves throughout the winter months. Sow July – early August, Harvest December – April. 7. Chervil: A delicate aniseed flavour and fine, feathery leaves. Sow July – early August, Harvest December – April. 8. Mizuna and mibuna: Oriental greens that can be stir-fried or eaten raw in salads. Sow August – September. Harvest January – April. 10. Sorrel: A perennial herb that grows fresh citrus flavoured leaves early in the year. Please note: All of the above crops have survived outside uncovered this winter, which has not been particularly harsh. 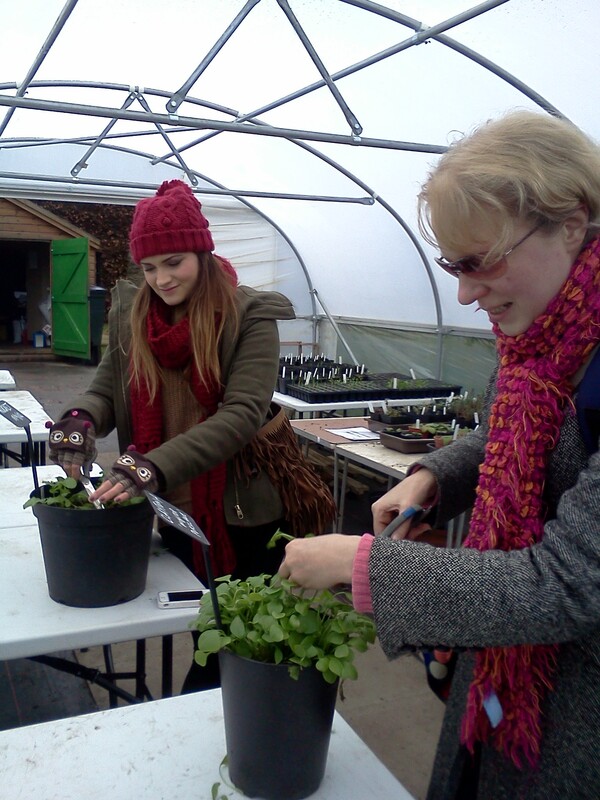 However they will always be more productive and more likely to survive a tough winter if grown under a fleece or in a cold frame, unheated greenhouse or polytunnel. 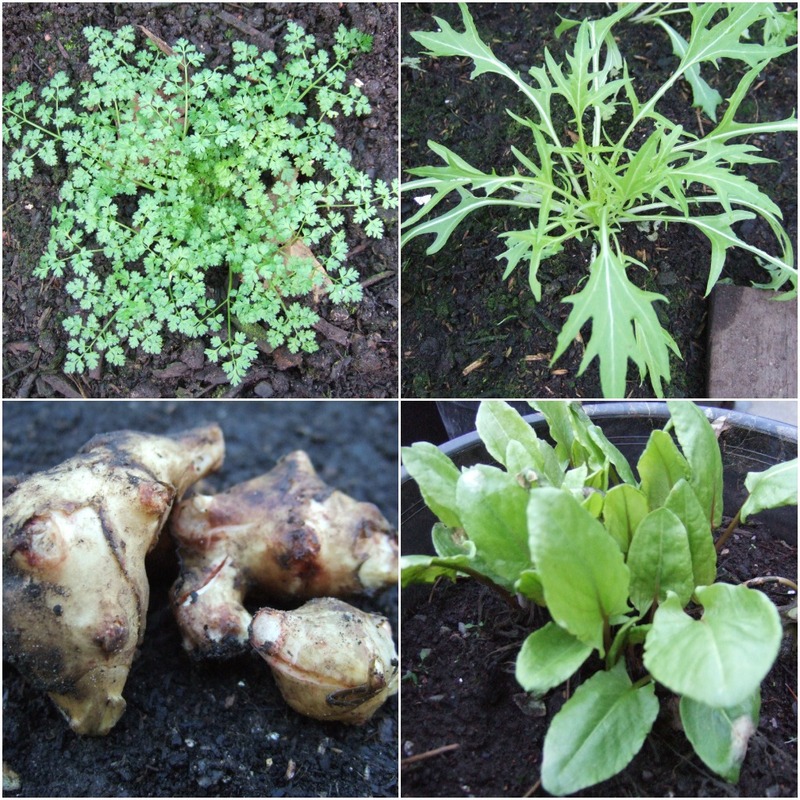 We harvested kale, cabbage and baby leeks this week for the Gateway restaurant at the Botanics. It may well be winter but the garden is still producing. 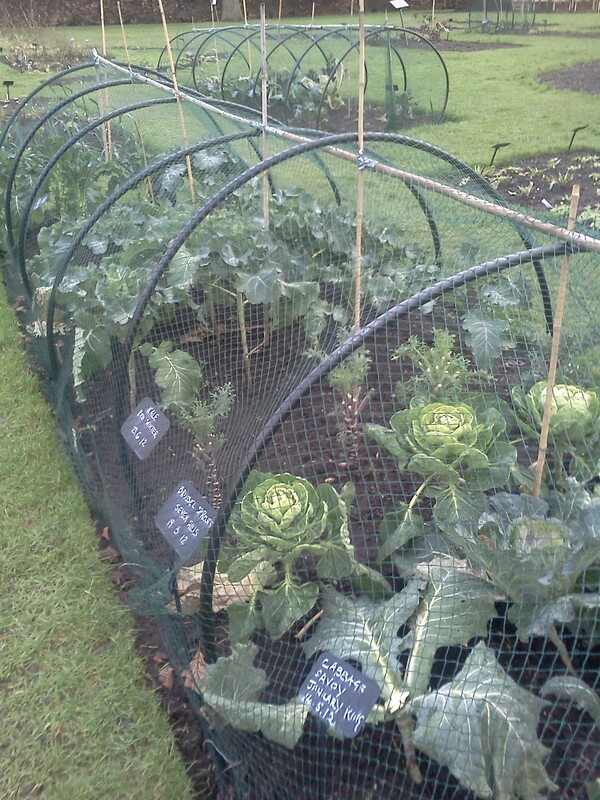 The brassicas are looking great safely tucked under the netting. Unfortunately the chard has been well and truly attacked by pigeons. We will net this off to protect it and should still get a decent crop. One of our big winter jobs has been completed, our new compost bays are up and ready to use. 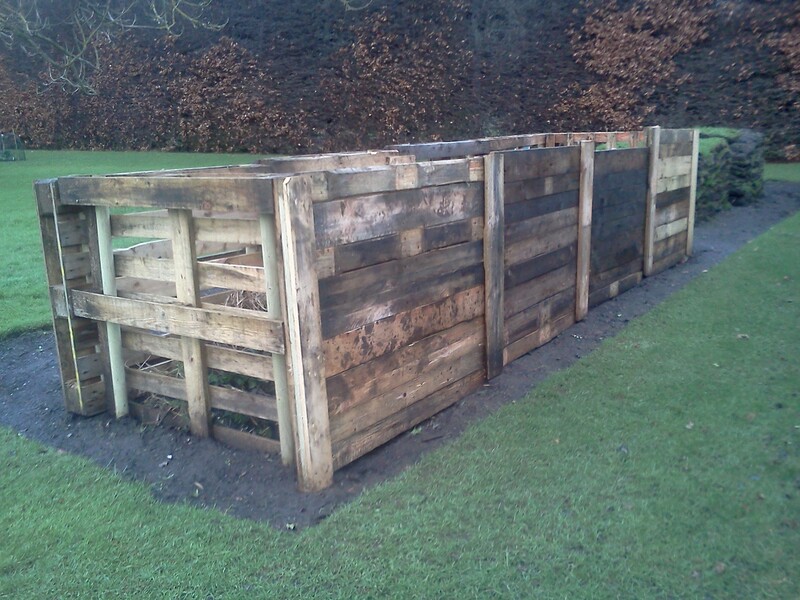 The Edible Gardening Team constructed these beautifully using old pallets. They took their time over it and the result is solid and very useable. A compost heap is a real bonus to the vegetable garden. Every grower needs a good supply of material to enrich the soil and feed those hungry plants. Composting your own garden waste is really just a way of recycling the nutrients within your own garden. This time of year may be a bit quiet in the garden but we have just ticked off one essential winter job; the seed and potato order. We have all sorts of goodies winging their way to us including Sarpo Mira maincrop potatoes, broad bean’Crimson Flowered’ and Radish ‘Cherry Belle’. Winter is the ideal time to plant new fruit trees. 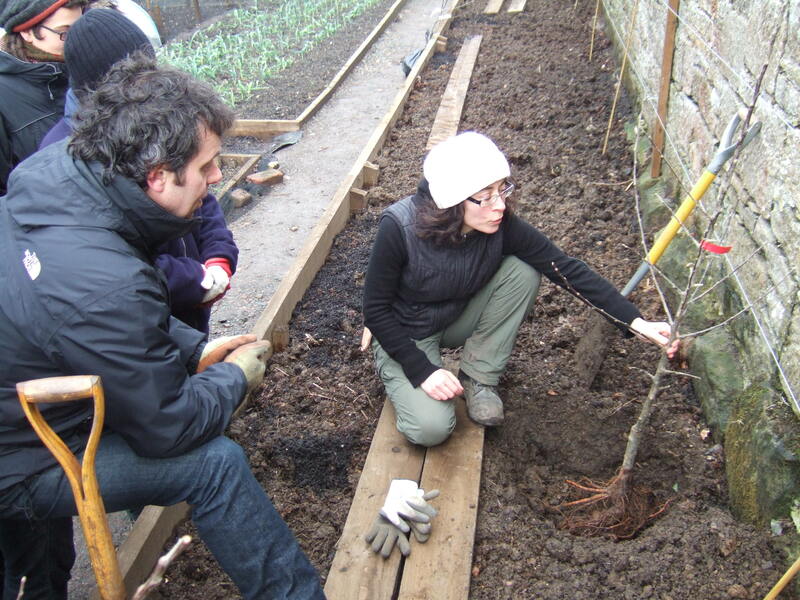 On Tuesday this week the Edible Garden volunteers went to help plant apple trees at Casa San Lorenzo a new garden just outside Edinburgh that supplies fresh produce to the Italian restaurant Centotre and The Scottish Cafe. At the start of the day head gardener Erica Randall (a contributor to RBGE’s ‘Growing Your Own Vegetables’ book) gave the volunteers a training session on planting and pruning. We then set to work (through the rain!) to plant 14 apple and 2 cherry trees. Improve the soil by digging in well-rotted organic matter such as horse manure or compost and apply a slow release fertiliser such as bonemeal before planting. Dig a hole big enough to allow the roots of the tree to spread out naturally. Check the depth of the hole. If you look carefully at the stem of the tree you will be able to see the depth it was planted at in the nursery. This is usually the correct depth to plant the tree. Fruit trees will usually require some form of support such as a stake. So that you don’t damage the tree, take it out once you’ve got the hole to the right depth and then drive in the stake. Place the tree back in the hole and fill the soil back in. Firm the soil down as you fill the hole. Attach the tree to the stake using a rubber tree tie. Mulch round the stem with well-rotted compost or manure. This helps to retain moisture and suppress weeds. 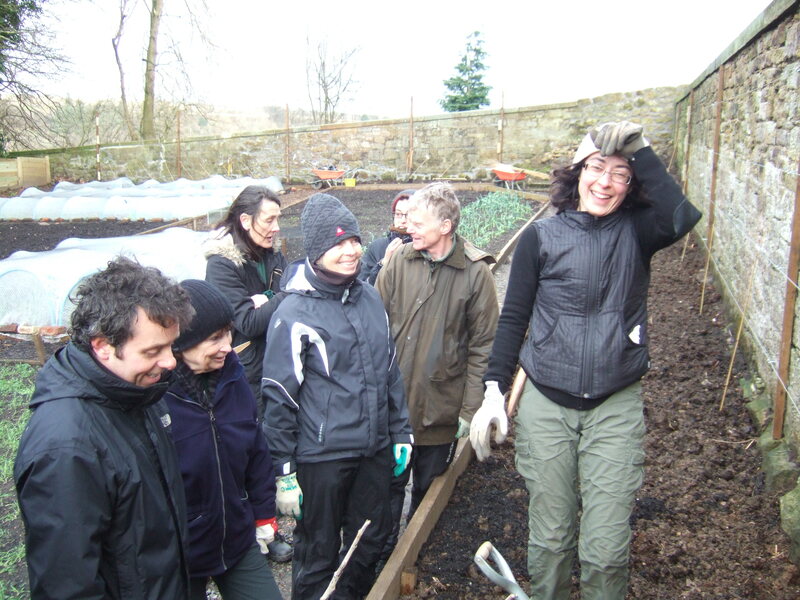 We were visited on wednesday by Edinburgh Community Food’s Talk of the Walk group. The healthy living group for women in North East Edinburgh trekked down to the Botanics on a chilly January morning. We had a whistle stop for a tour of our vegetable garden and despite the cold we managed to find plenty of leaves to harvest. Taking our bounty into the warm the group got busy with a pestle and mortar to make some delicious fresh pesto. We didn’t follow a particular recipe but the recipe below is a rough guide. You can use all kinds of leafy greens for this dish depending on whatever is available in the garden. Wash the leaves well. Mix all ingredients in a blender and season to taste. 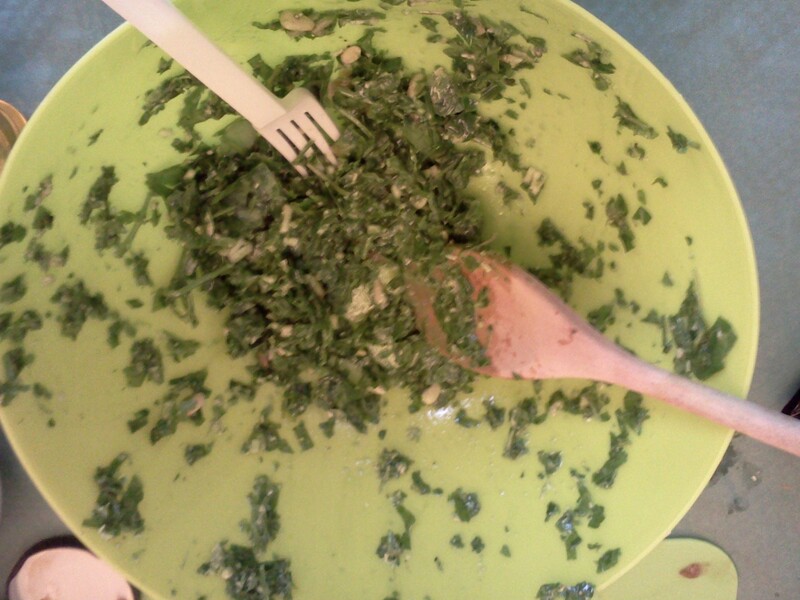 If using a pestle and mortar chop the leaves first and add oil at the end. Mix with fresh cooked pasta and serve. Each year RBGE’s first-year HND/BSc Horticulture students take responsibility for a small plot within the garden. At one end of their plot each student must grow five vegetables (broad beans, peas, beetroot, lettuce and onions) in the remaining area they can grow any fruit, flowers or vegetables they choose. 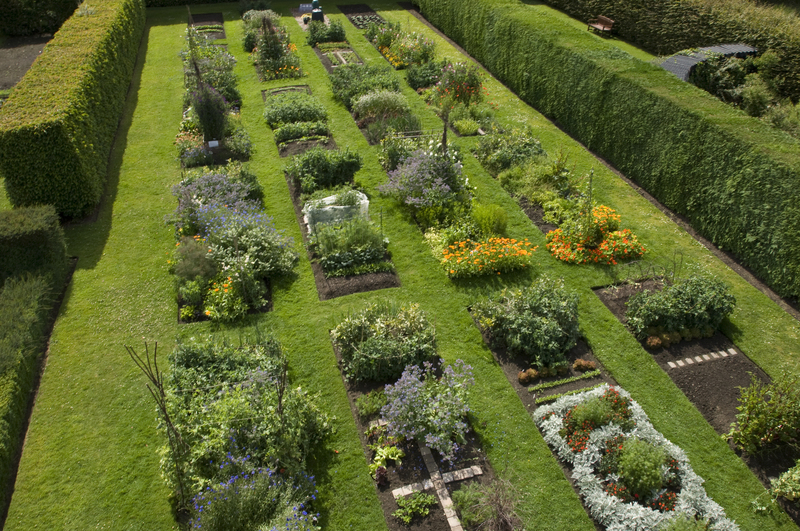 This layout is reversed each year to help avoid soil-borne pests and diseases. The plots help students develop their gardening skills such as: planning; soil preparation; crop selection; sowing; and on-going plant maintenance; watering, feeding, supporting and protecting crops. They also have to come up with creative designs and solutions to growing in a small space. The plots are a great source of inspiration for anyone that wants to grow their own vegetables and flowers. It is worth coming down to the Botanics to see them develop over the course of the year. From bare soil at this time of the year they transform into wonderful productive vibrant plots by midsummer. It is unusually warm for January which means that the vegetables in the polytunnel have had a bit of a boost and put on some growth. 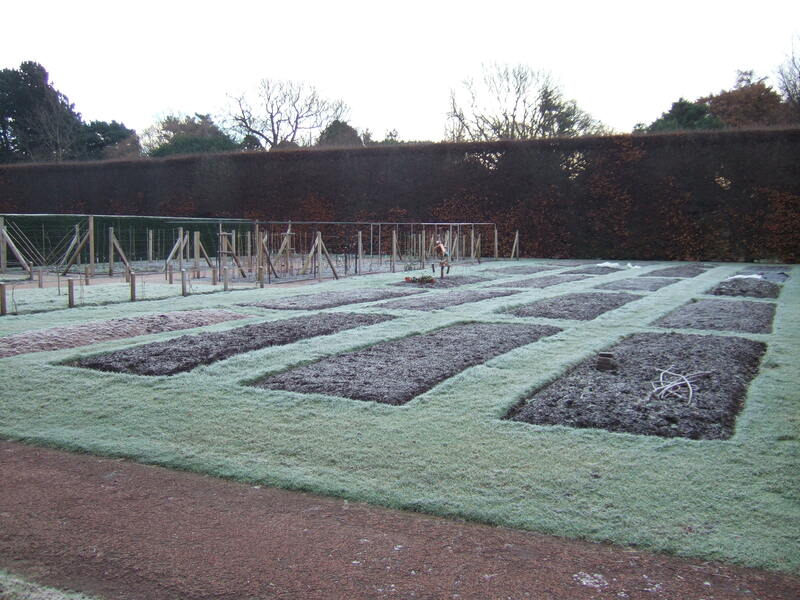 We’ve even taken off the horticultural fleece that was in place to protect the plants from frost. 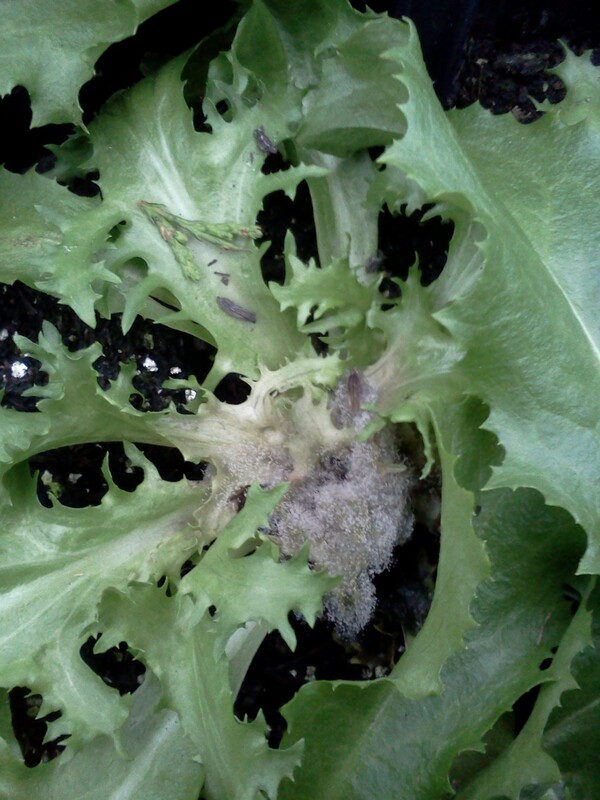 There is a fine balance of keeping the frost and cold from damaging the plants but making sure there is enough ventilation to avoid stale, damp conditions encouraging Botrytis (grey mould – see photo). We are keeping a close eye on the weather forecast and will get the covers on quick smart should the temperature drop. The fresh new growth will be particularly vulnerable to frost, always a concern with warm weather early in the year. It is very satisfying to see such greenery at this time of year, unfortunately there are a few slugs that feel the same. They are favouring the pak choi at the moment. Happily just today I saw one of our resident frogs who I am sure favours the slugs!